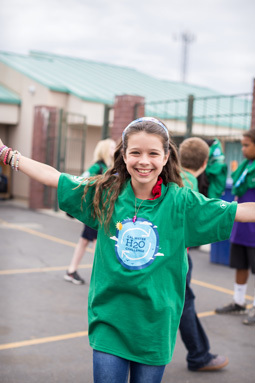 Who can participate in Cal Water H2O Challenge's Classroom Challenge? 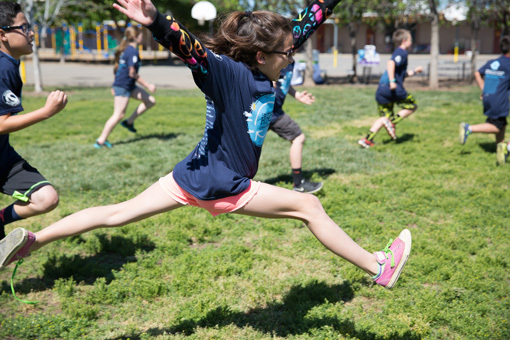 Public or Private California classrooms, grades 4-6 in a Cal Water service area are eligible to participate. 40 students maximum per classroom. I don't know if my school is in a Cal Water service area. How do I find out? Scan our list of eligible schools. I don't see my school listed but we are in a Cal Water service area. What should I do? Please check your school address on the Cal Water service area map or Contact Us with your school information and we can verify your eligibility status. Yes. We accept combination classes for grades 3/4, 4/5, 5/6 or larger combinations including: 3/4/5, 4/5/6, or 3/4/5/6 combo classes. I have multiple classes. Can I register more than one classroom? You can register as many classrooms as you like but you can only register one classroom per each registration form. You will need to go through the registration process again for additional classrooms. Can multiple classrooms compete as one team? No. Each classroom should have a separate team name and will be competing as separate teams in the competition. I teach a home-school classroom. Can my class participate? Absolutely. 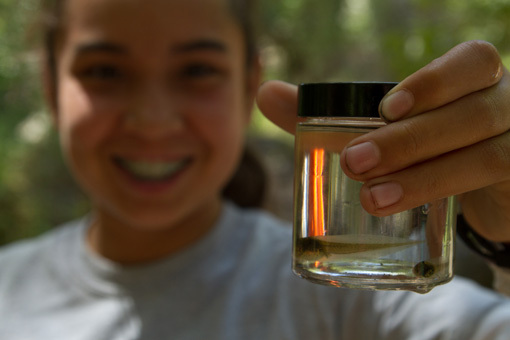 If you teach a grade 4-6 class in a Cal Water service area, then you can participate. Can after school clubs compete? At this time, participation is limited to classrooms only. 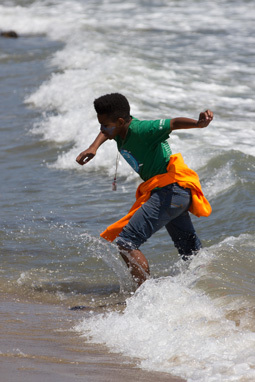 Why participate in Cal Water H2O Challenge's Classroom Challenge? 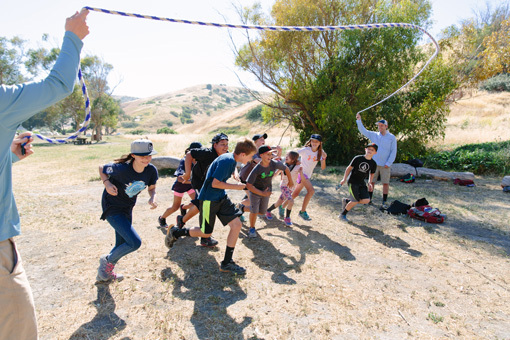 Involving your students in the Cal Water H2O Challenge's Classroom Challenge not only teaches them to understand water as a local and global resource, but also encourages social responsibility and engages your student as active agents in their community. How much time do I need for Cal Water H2O Challenge's Classroom Challenge? A project can be completed in 4-8 weeks, although you can opt to spend longer on the project depending on your classroom schedule. As the competition follows a project-based learning model and incorporates both Common Core State Standards for ELA and Math, and is complementary to the Next Generation Science Standards, it is possible to fill your day with activities around the project and to focus on it for the school year. However, this is not required. Your project submission will be due February 28th, 2019, even if you choose to continue your project beyond that date. 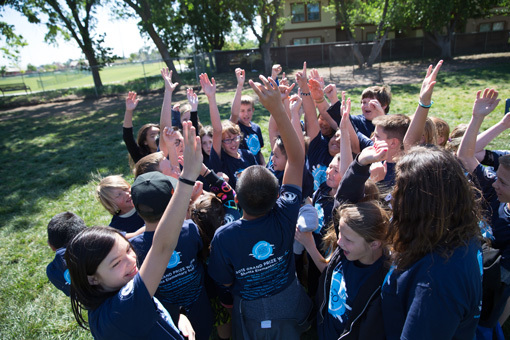 How does Cal Water H2O Challenge's Classroom Challenge align with the standards? The competition has been designed with the standards in mind from the beginning. With the help of WestEd / K-12 Alliance, a handbook and lesson plans have been designed to align with Common Core State Standards and complement the Next Generation Science Standards. 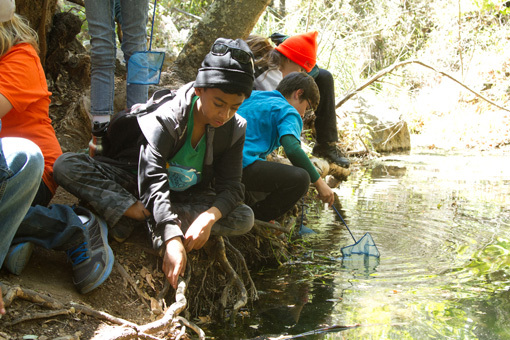 Following the example project flow, projects can meet standards in reading, vocabulary, research, writing, oral-speaking, science, social studies, and math, while also inspiring students to be active agents of change and to protect our water for future generations. Are there resources that can help guide the project? Absolutely, we provide many teacher resources, including a competition handbook, inclusive of sample lesson plans and a project flow, our competition rubric, links to water conservation resources, a submission guide to aid in the final submission process, and a potential projects topic list. You can find our resources on the resources page. A sample portfolio can be found in resources to help with your portfolio planning. Can persons outside of the classroom be involved in the project? Yes. We encourage classrooms to engage their families and community. However, the project itself must be driven by the students. 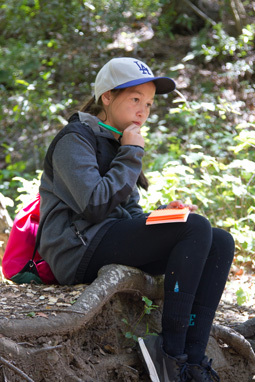 Cal Water will acknowledge all classroom participants (teachers and students) that submit a final portfolio. Exact prizes can vary. Please see our prizes page for more details. Registration is simple and can be completed online. Head to our Registration Page, review and accept the competition terms and conditions, then fill out and submit the registration form. There are two seperate registration deadlines. The first registration deadline, the early registration deadline, is December 21, 2018. Registration by this date enters you into a drawing for one of twenty $500 classroom grants. The second registration deadline, the final registration deadline, is January 31, 2019. Registrants who register after December 21, 2018 will not be eligible for one of the $500 grants. Upon completing the reigstartion process, you will receive a confirmation email. If you have registered and have not recieved a confirmation email, please contact us immediately. I'm looking for a class speaker. Where can I find a water expert? Try nearby universities, museums and antuer centers. Local professors, retired naturalists/scientists, and naturalists from non-profit organizations and local nature centers can be amazing resources! What additional resources are available for help with the project? NAAEE is also offering twenty $500 grants that will be distributed by random selection to twenty registrants that register by the early registration deadline of December 21, 2018. Any registrant that accepts these funds must commit to submitting a project by the deadline of February 28, 2019. To be eligible for a grant, your classroom must complete registration by December 21, 2018, 11:59 PM PDT. Grants will be distributed by a random drawing from all registrants. Additionally any registrant that accepts these funds must commit to submitting a project by the submission deadline of February 28, 2019. Does our project need to be approved in advance? There is no need to have your project approved by Cal Water in advance. However, it is important that you have your principal's approval for your participation in the competition. Sample topics include issues around water conservation and water quality, but projects are not limited to these areas. The project topic is up to your class. It must focus on caring for water, but the specific topic has no limit. Be creative. Originality is encouraged. If you prefer a reference some sample topics can be found in the handbook in the resources section. The Cal Water H2O Challenge's Classroom Challenge will allow your students to use technology to create their portfolios. They may use: PowerPoint, Keynote, Presenter, or Prezi. Hand-made, paper portfolios will also be accepted. Who can create the portfolio? While teachers and adults can assist with instruction, guidance, and material support, the portfolio itself must be created by the students. What size should the portfolio be? Digital portfolios should be created at default PowerPoint sizing: 10" x 7.5"
If creating a paper portfolio, it should be no larger than 11"x17". What is the portfolio page limit? Digital portfolios are limited to no more than 16 pages. This excludes the cover sheet and reflection pages. Paper portfolios are limited to 8 pages front and back for a total 16 page limit. What media can be included in the portfolio? The portfolio can include pictures, videos, site links, articles, written letters, etc. - anything that your class made or that spotlights your project work. How many photos can we include in the portfolio? You can include as many photos as you can fit in within the page constraints. How many videos can we include? You can include multiple videos, but total video runtime cannot exceed five minutes. How many links may we include to websites? You may include links to only one class-created website. What must I submit with my portfolio? You must submit the main portfolio pages, your cover sheets (both pages), your teacher reflection, and your student reflections. Where can I find the supporting materials? The cover sheets, teacher reflection, and student reflection forms can be found in the handbook on the Resources Page. How long should the teacher reflection be? The teacher reflection should be no more than 1,200 words. How many student reflections are required? You must submit at least five student reflections, but can submit up to ten. What happens if I do not submit some of the supporting materials? Cover pages, teacher reflections, and student reflections are required. If materials are missing your submission may have points deducted or be disqualified. Your portfolio may be submitted via email or a fileshare program of your choice. For specifics, read the submission guide, which includes appropriate emails and contact information for troubleshooting. Be sure to include paper copies of all supplementary materials. They will not count against your page count. What file types are acceptable for my digital portfolio submission? We also accept PDF files. I am having trouble saving my portfolio to an accepted format. What do I do? You can always save out a PDF and submit your portfolio in that format - however, if you are still having trouble, please contact us at CalWaterChallenge@gmail.com and we will gladly help you. How do I save my supplementary materials? Your coversheet (pages 1, 2, & 3), teacher reflection, and 5-10 student reflections, can either be saved as PDF files, or included within your portfolio file. If saved within your portfolio, these pages do not count towards your page limit. If submitting a paper portfolio, include paper copies of these materials. They will not count against your page count. How do I submit my saved files? If submitting a digital portfolio, all files should be included in your email or fileshare submission. Contact us at CalWaterChallenge@gmail.com to inform of us your submission, and to advise us of any fileshare that we should be expecting. Be sure to share your portfolio file, and, if not included in your portfolio file, your coversheet PDF, teacher reflection PDF, and 5-10 student reflection PDFs. What other files can I upload/mail with my submission? Only your portfolio, coversheet, teacher reflection, and student reflections may be uploaded or mailed for your submission. No additional files will be accepted or reviewed. Any supporting media (photos, videos, etc.) must be included within the portfolio itself or the one allowed class website. The link to any supporting website must also be contained within the portfolio. What do I do if I can't upload my files? If you have trouble uploading your files contact us at CalWaterChallenge@gmail.com and we will help you with your submission. How do I know that my submission was successful? The Cal Water H2O Challenge team will contact you after receiving your submission. If you do not hear back from us within two business days, please contact us at CalWaterChallenge@gmail.com. When are project submissions due? Project submissions must be received by February 28, 2019 11:59 pm PDT. Winners will be announced in early April 2019. When is the grand prize celebration? The grand prize celebration will be held April 24-26, 2019. I have other questions not listed in the FAQ. What should I do? I prefer to speak to someone. Is there someone that I can call for help? Contact our teacher consultant Laurie at 415-663-9535 for additional assistance.